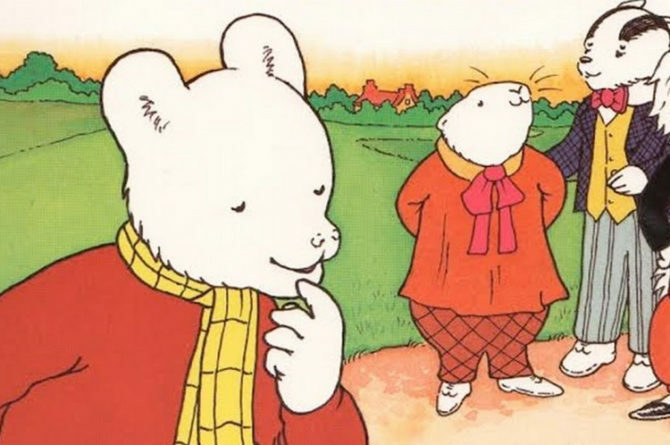 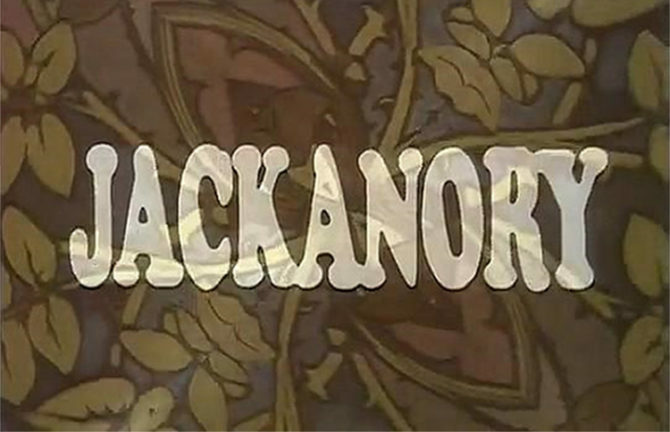 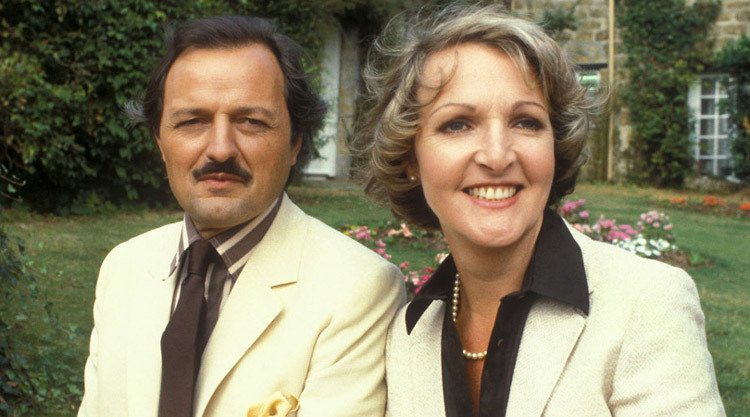 The serie with Rupert Bear often features fantastic and magical adventures. 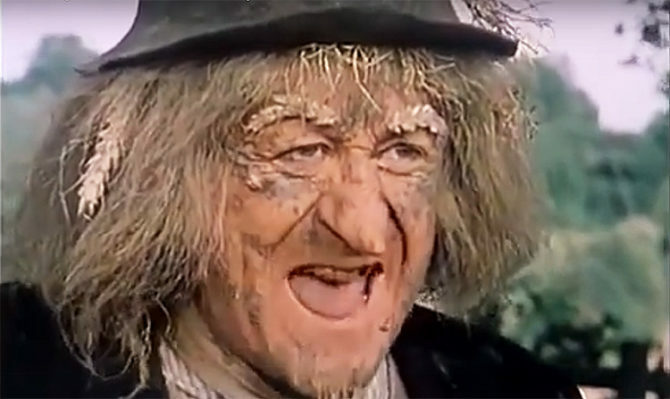 Children’s series about the adventures of Worzel Gummidge, a scarecrow who comes to life. 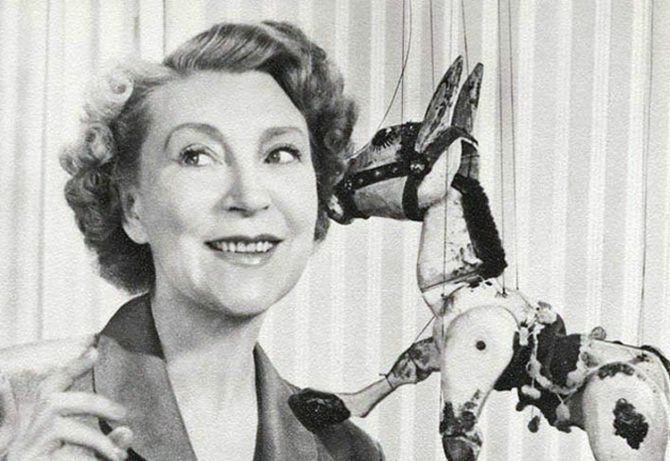 Muffin the Mule is a puppet character in television programmes for children presented by Annette Mills. 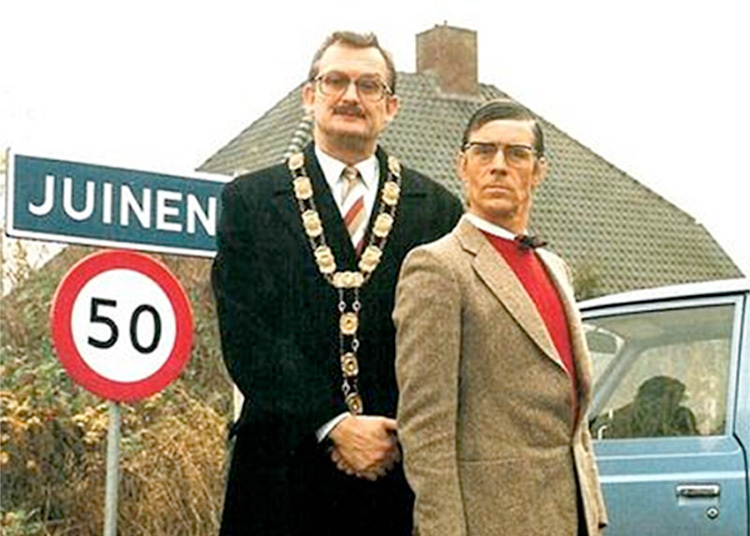 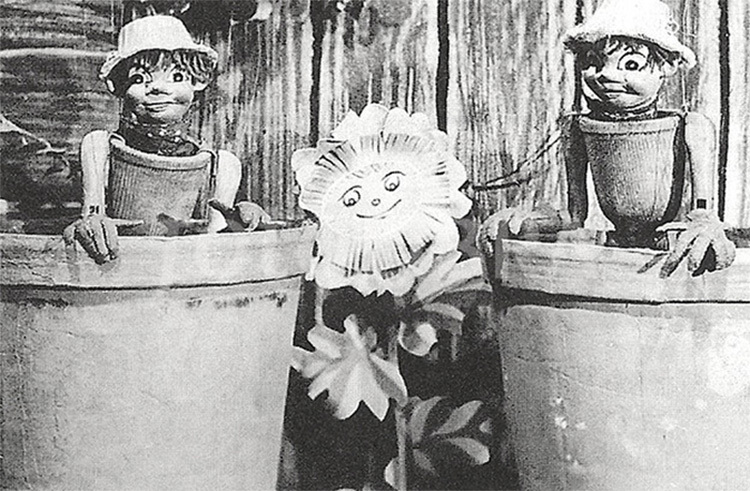 Bill and Ben, were two little men made of flower pots who lived at the bottom of an English suburban garden behind a potting shed. 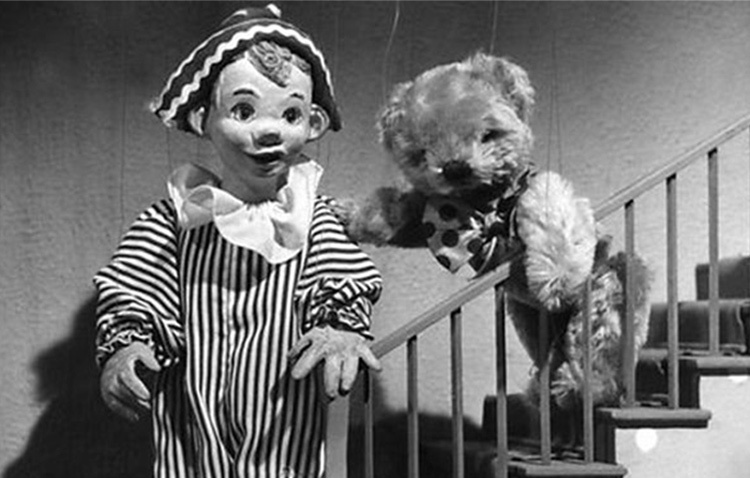 A marionette who lived in a picnic basket, Andy was later joined by Teddy, a teddy bear, and Looby Loo, a rag doll.